Who can resist the simplicity of a savoury tray bake? 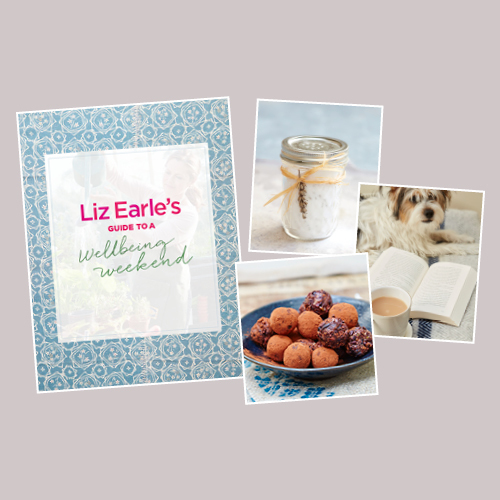 Cut up all the ingredients, throw them into a pan, drizzle over some olive oil and pop it in the oven – et voilà! A gut-healing meal in minutes thanks to prebiotic asparagus, parasite-fighting oregano, healthy-fat-filed olive oil and a slice of sourdough. Silky slivers of smoked salmon are a delicious extra. 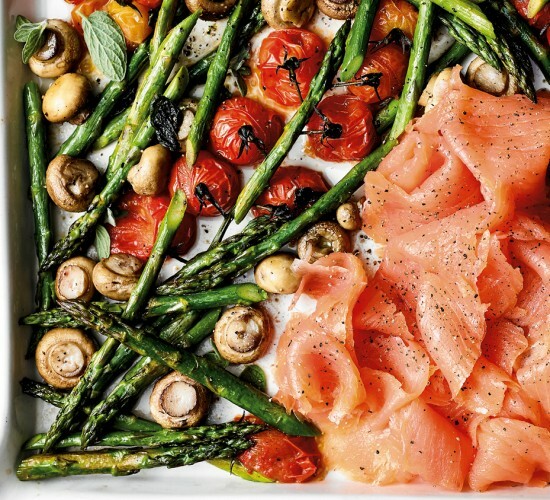 Put the asparagus, mushrooms and tomatoes into a roasting tin. Season well with the sea salt and freshly ground black pepper, then scatter over the oregano leaves, drizzle with the oil and toss everything together with your hands. Put in the oven and cook for about 20 minutes or until the vegetables are beginning to char slightly and the tomatoes are starting to burst. Remove from the oven and transfer to serving plates. Serve with smoked salmon (if using) and toasted sourdough bread. 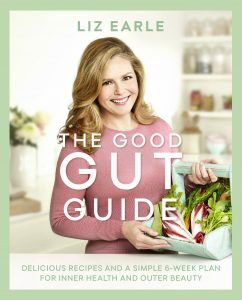 You can find more gorgeous, gut-friendly recipes like this one in Liz’s bestselling book, The Good Gut Guide (Orion Spring). Look for wild smoked salmon whenever possible, as farmed salmon (even organic) comes from caged salmon treated with sea-louse medication.